I know people have been talking about how long January was (and some days sure felt long) but the month seems to have flown by for us. We took a big field trip/ mini-vacation to Myrtle Beach to visit WonderWorks and Medieval Times, we made good progress on our school goals, Matthew got his 4-H pig for this year, and I finished reading two books. I completed Becoming Mom Strong by Heidi St. John and Just Open the Door by Jen Schmidt in January. Both of these book are books that I would recommend reading. Becoming Mom Strong gives solid parenting encouragement with a Biblical background and stance. Just Open the Door is a book full of advice about Biblical hospitality. It gives practical ways to show hospitality both formally and informally. I loved how she included a variety of ways and simple ideas to help make your whole family demonstrate hospitality. I am excited about what February will be bringing. 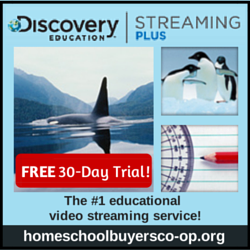 My preschooler who has been begging for more school work has the opportunity to try two new programs, Dimensions Math and Homeschool Complete for which I’ll be sharing complete reviews. My older children are also hard at work on a few reviews including the newest Heirloom Audio, Victus Study Skills, and some great novels. February is full of small holidays which can add a fun change to the day to day. I hear many say that they start to feel burned out in February between the cold and the after effects of the holidays. 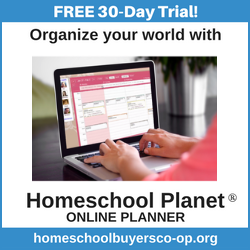 Spending just a little time to enjoy holidays like Groundhogs Day, Presidents Day, and Valentine’s Day can bring a bit of refreshment to your homeschool. I am also very excited to be getting ready to start a blogging through the alphabet group. Stay tuned next week for details and more information but I am excited to be sharing a new post in that series each week with you. It has been awhile since our last online book study because of the baby and then the hurricane, but I am excited to be jumping back in with Girls’ Club: Cultivating Lasting Friendships in a Lonely World. I have had the privilege of previewing the first three chapters and the full book arrived in the mail this week! I’m excited to finish reading it soon! For the most part we were enjoying our curriculum choices from the beginning of the year but time constraints caused me to switch a few things up. I’m still working on tweaking our new schedule but I hope to share that with you over the next few weeks. If you want to see what we started off with you can check out my posts about preschool, fifth grade, and seventh grade. All in all February is shaping up to be a busy but fun month. I am looking forward to checking out all of these new programs and sharing them with you, my wonderful readers. I also joined Pinterest though I’m just getting started. I would love to have you follow me there. What is happening at your house this month? Can’t believe we’re this far into February already! The year is going too fast for me. Girls Club looks like a good book! It is going by so fast! I’m really enjoying it so far. You should join us, I think it is going to be lots of fun! What a month! I’m hoping to keep on top of things and not let this health storm beat me down!! Praying that you feel well enough to do the things you need to do!